Luxury villa with private swimming pool, tropical garden, enclosed private pool deck and 1km from beach. Caribbean Living at its best! Come Experience the Villa Horizon Lifestyle! The Caribbean island of Barbados has long been recognised as a top class holiday destination with a strong infrastructure and a history of political stability. 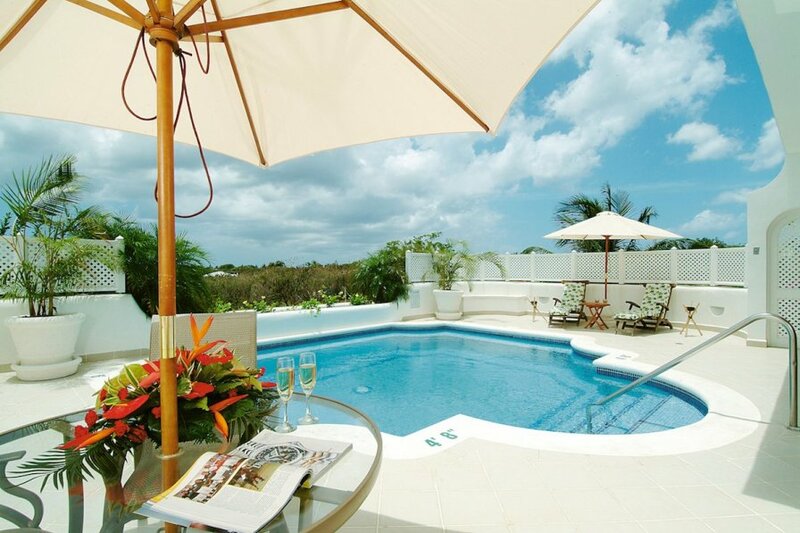 Villa Horizon offers exclusive private villa accommodations on the West Coast of Barbados. With its open-plan layout, well-appointed interiors and coupled with all the amenities and requirements for today's modern lifestyle, Villa Horizon is the ideal place for fun, frolic and the creation of fantastic memories. A private, elevated swimming pool and deck, accompanied with sun-loungers and umbrellas, provide the perfect backdrop for enjoying the beautiful sunshine in Barbados, whilst perfecting that perfect tan! In addition, due it's West facing position, the pool deck is blessed with the Sun's rays until late into the afternoon, which also allows for beautiful sunset photo opportunities. The well-equipped wet Bar is steps away from the Swimming Pool and Deck, so creating those mouth-watering cocktails and alcoholic beverages whilst frolicking and relaxing by the pool will be well within your reach. Villa Horizon is located 1km away from the nearest beach and golf activities and has easy access to all the amenities of Holetown, 2 km away, including duty-free shopping, restaurants, supermarket, bars and banking. There is a fourth ensuite bedroom located downstairs containing two twin beds. This allows the villa to be rented as a 4 bedroom, sleeping a maximum of 8 persons. Enquire for rates.